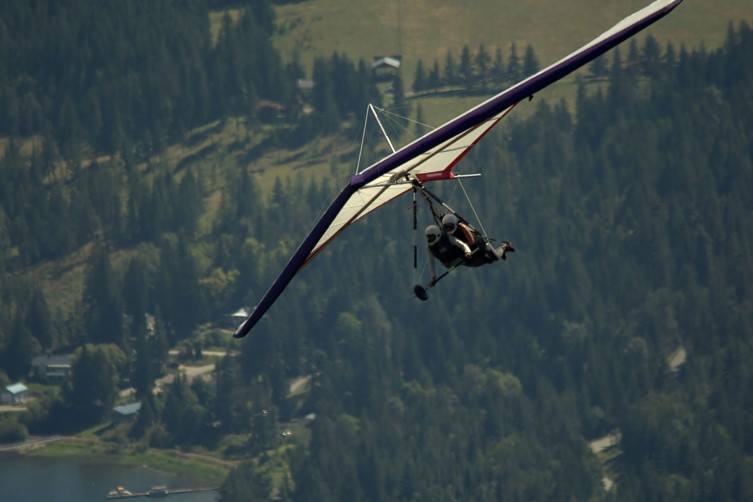 A hang glider is a non-motorized rigid wing that is triangular in shape with the pilot and passenger lying side by side inside a control frame. 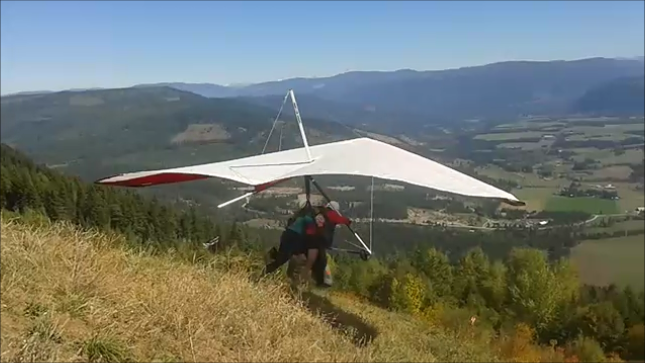 Steering the glider is achieved through weight shifting. 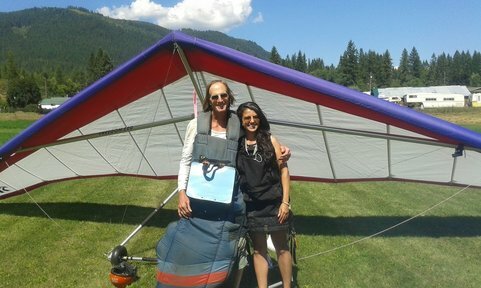 ​You will launch off of the mountain by running side by side with your tandem instructor. Don't worry, you only have to run 3-5 steps before you'll be flying. What do I need to bring/wear? Bring your family and friends to watch you fly! Why should I fly with you guys? 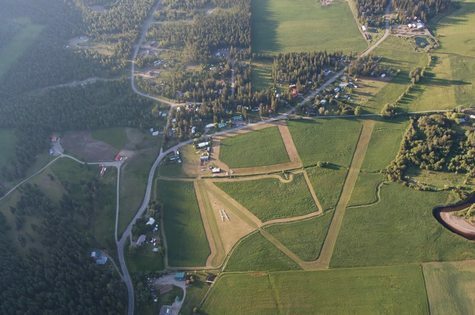 Our landing zone boasts a 2000' grass runway and taxiways on nice level ground. Because we love to fly! 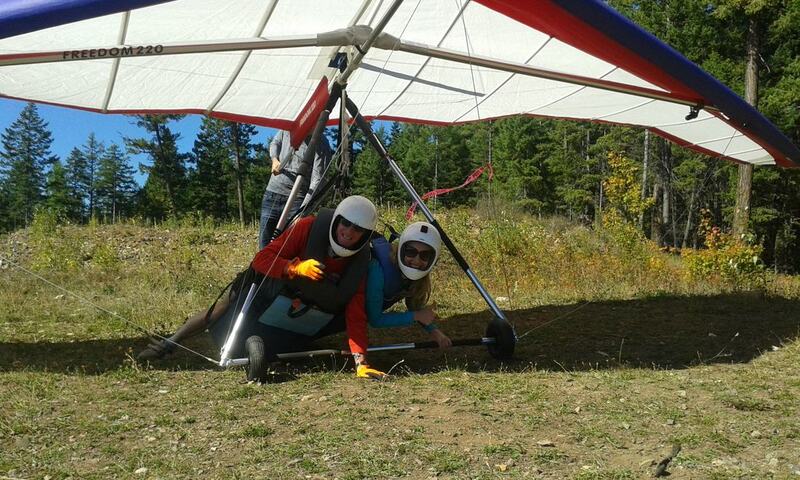 The paraglider will lift you into the air and just like that, you're a bird! What's the flying part like? Enjoy the feeling of flying like a superhero! The same landing from the ground...watch until the end! Next we take a picture of the huge smiles on everyone's faces! ​Maximum weight of passenger: 200 lbs.